Members of the Senate Spouses Foundation, Inc. recently played Santa to the children from the Gentle Hands Orphanage in Quezon City. 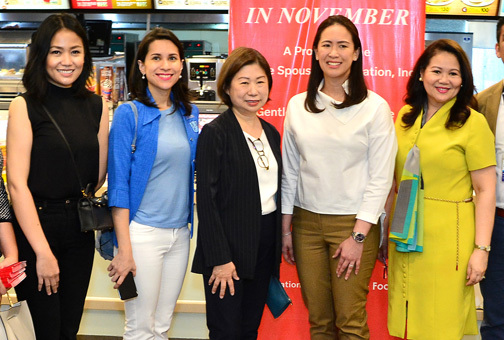 The children from the Gentle Hands Orphanage with Senate Spouses Foundation member Gladys P. Cruz, Audrey Zubiri, and Katrhyna Yu-Pimentel as well as Beverly Sotto and SM’s senior vice president for marketing and communications Millie Dizon. A joint project of the SSFI and SM, the event was a day of fun for the kids who were treated to lunch at Jollibee and shopping at The SM Store in SM Megamall. Senate spouses Audrey Zubiri (wife of Senator Migz Zubiri), Gladys P. Cruz (wife of Sen. Joel Villanueva), and Kathryna Yu-Pimentel (wife of Sen. Coco Pimentel), together with Councilor Gian Sotto and Beverly Sotto who represented Helen Sotto (wife of Senate President Tito Sotto), took the kids around the store to shop during the yearly Christmas outreach program. Jinky Pacquiao (wife of Sen. Manny Pacquiao) and Cindy Ejercito (wife of Sen. JV Ejercito) likewise sent their representatives. They then proceeded to Wendy’s for some snacks, and as a touching gesture, the kids sang a thank you Christmas carol before returning to Gentle Hands Orphanage, spreading more the spirit of sharing love and thanksgiving. 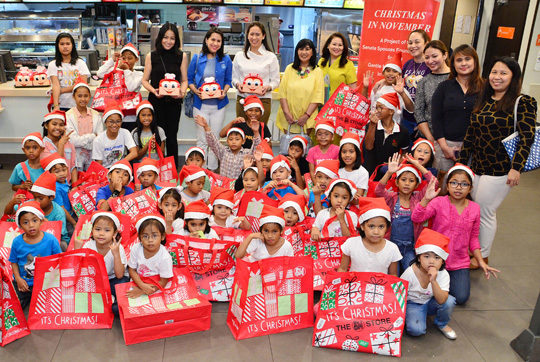 The holiday affair was held during Christmas in November, an annual gift-giving event to the kids of The SM Store Megamall. Now on its 20th year, the Christmas in November is one of the ways the SM Store in Megamall spreads cheer to the less fortunate during the Christmas season.